​Kamon “Shadow” Aromdee just wants to lay his mom to rest. Her last request was to have her ashes spread near her husband in his native Thailand. Kamon hopes while he’s there, he can unlock the mystery of his absentee father and finally get closure on that chapter of his life. Malia “Tiger” Danpae finally has the chance to fulfill her life’s mission as she goes deep undercover at the side of the infamous drug lord, Thet Yaza. Though it’s only supposed to be a recon assignment, she’s got one shot at taking down the man who killed her parents. The problem is, the CIA wants him alive. Malia doesn’t. A chance meeting on a plane entwines their lives and their hearts. But when his father’s past comes back to haunt him, Shadow’s sucked deep into the underground world of a drug cartel, and is shocked to find Malia a part of it. Devastation and betrayal drive a series of bad decisions that put both their lives in danger. 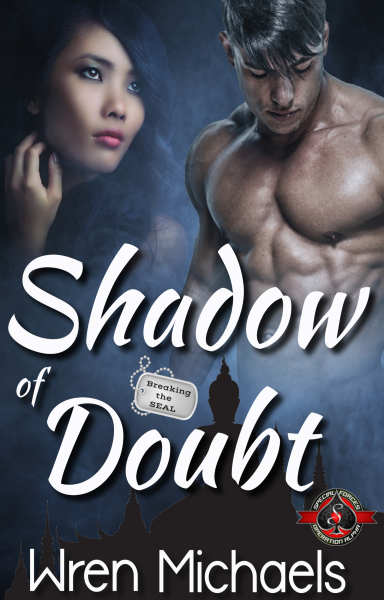 With the help of former Navy SEAL, John “Tex” Keegan, and Shadow’s SEAL teammates, he must push through the doubt of his past and come to grips with the fact that love isn’t always black and white.